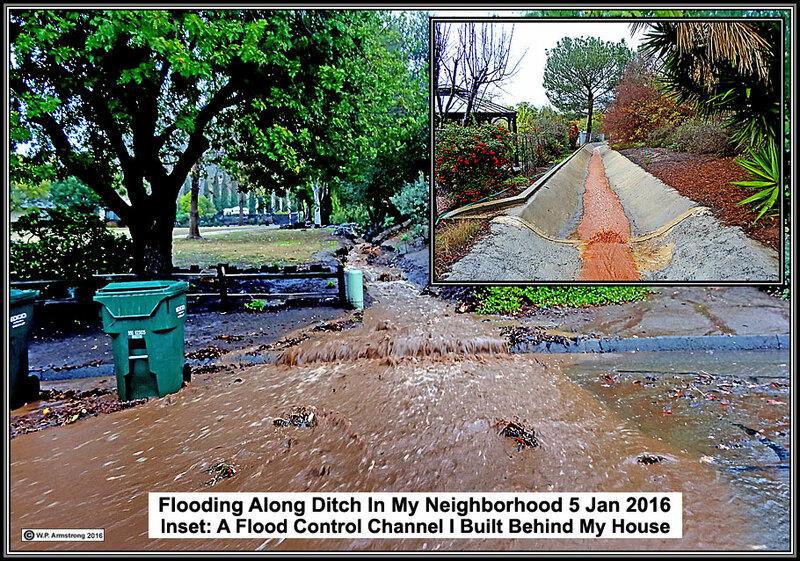 Only in San Marcos, CA would a housing development be allowed with dirt drainage ditches between homes. As a biologist and not an engineer, was my concrete flood control channel overkill? 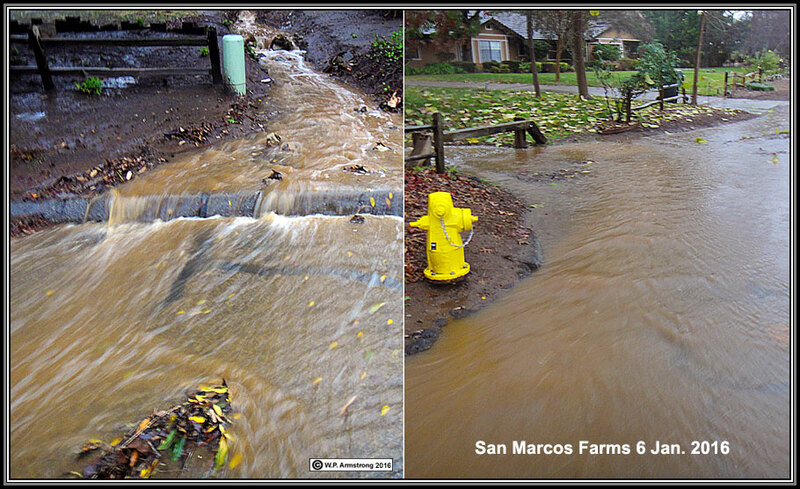 This upscale San Marcos housing development was not designed to accommodate El Niño flood waters! The brown color is due to soil washed down from nearby hills and dirt drainage ditches. 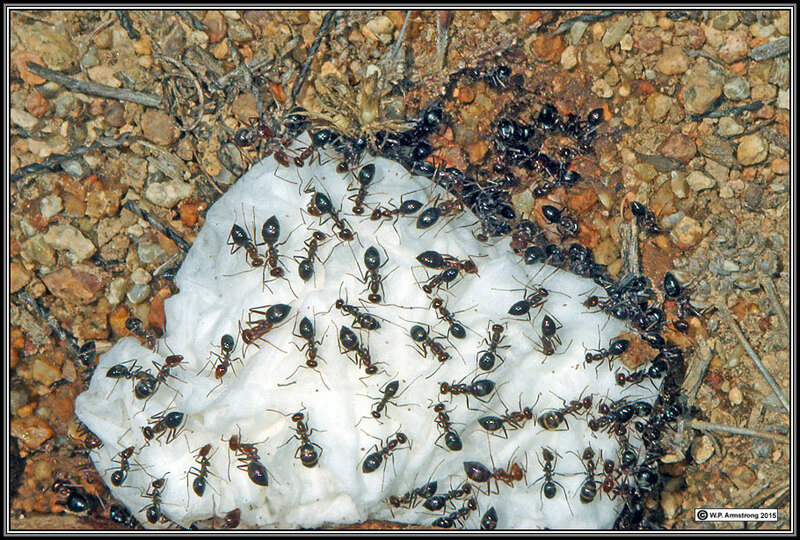 Sugar-loving ants attracted to sweet solution on facial tissue. 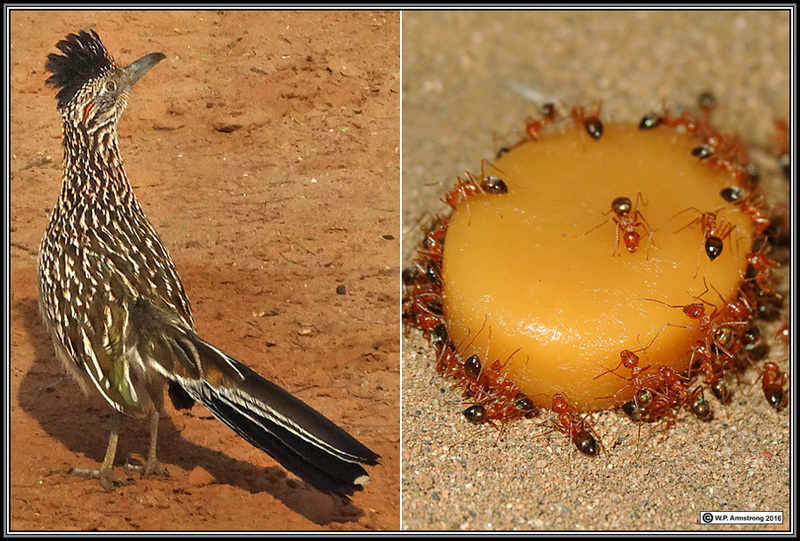 Wayne's Trivia Note #331: Ants helped in the discovery of diabetes! Almost 2,500 years ago ancient healers noticed that sugar-loving ants were attracted to the urine of some individuals with a strange, debilitating illness. In the 18th and 19th centuries the sweet taste of urine was used for diagnosis before chemical methods became available to detect sugars in the urine. Today we use serum blood sugar levels and the percentage of glycated hemoglobin (with attached glucose) in red blood cells (A1C test). 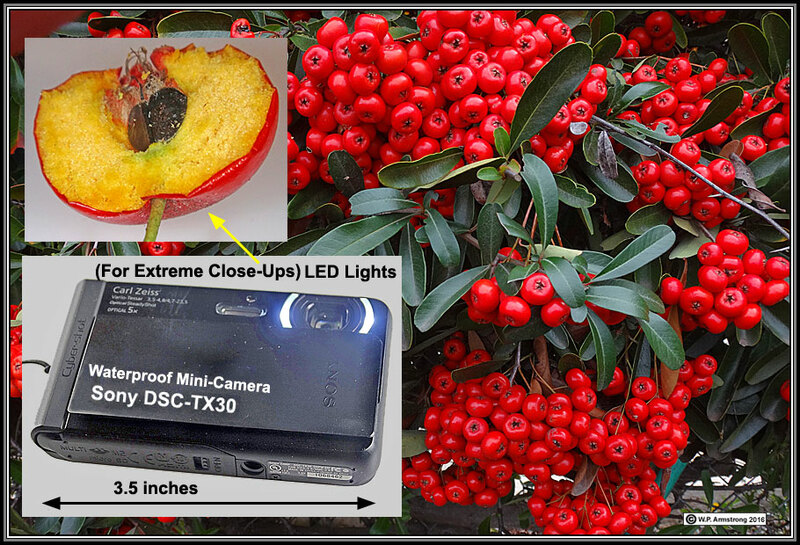 Sony DSC-TX30 Waterproof Mini Camera. 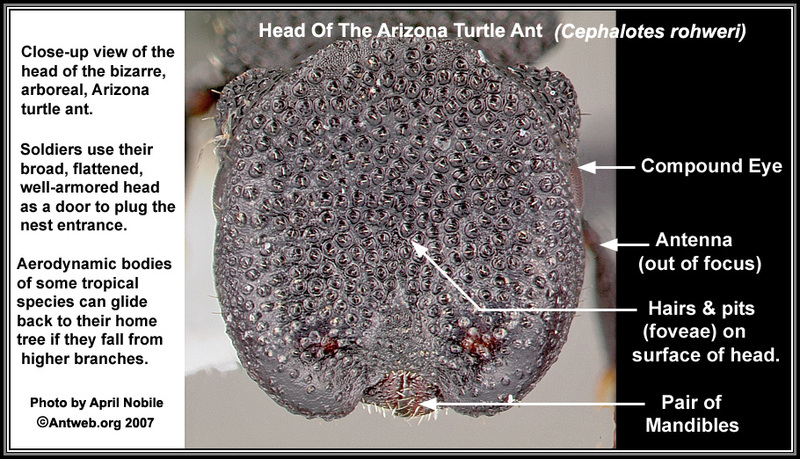 I'm off on another Arizona road trip in search of the bizarre Arizona turtle ant (Cephalotes rohweri). Why make a doorway to your nest when the plate-like heads of soldiers have evolved into perfect circular doors! 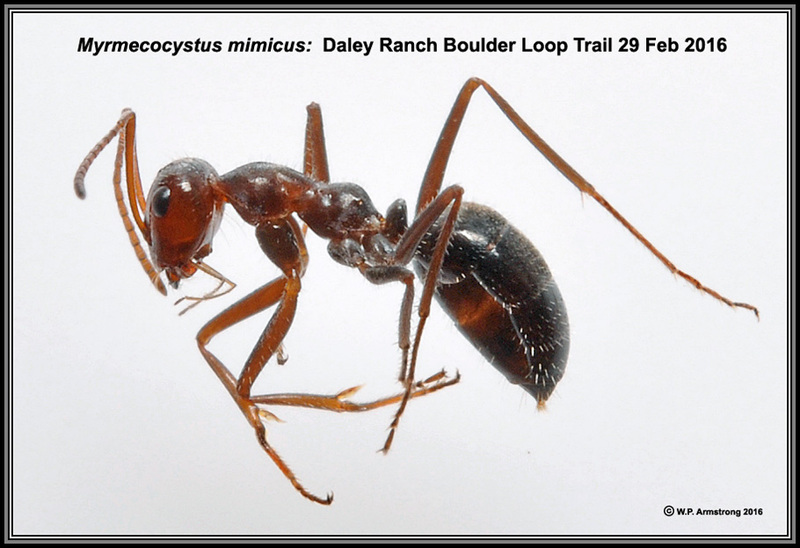 These ants nest in cavities in the stems of palo verde trees (Cercidium microphyllum = Parkinsonia microphylla) made by beetles. 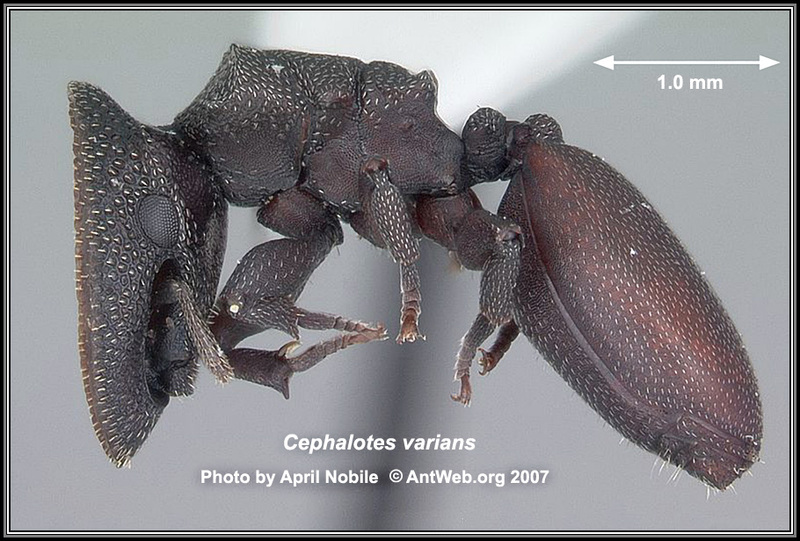 A tropical species of turtle ant soldier (Cephalotes varians). Its northern range is the southern tip of Florida. Tropical species can fall from rain forest trees to avoid predators and then glide back to the main trunk and find their nest again. They are often called "gliding ants." 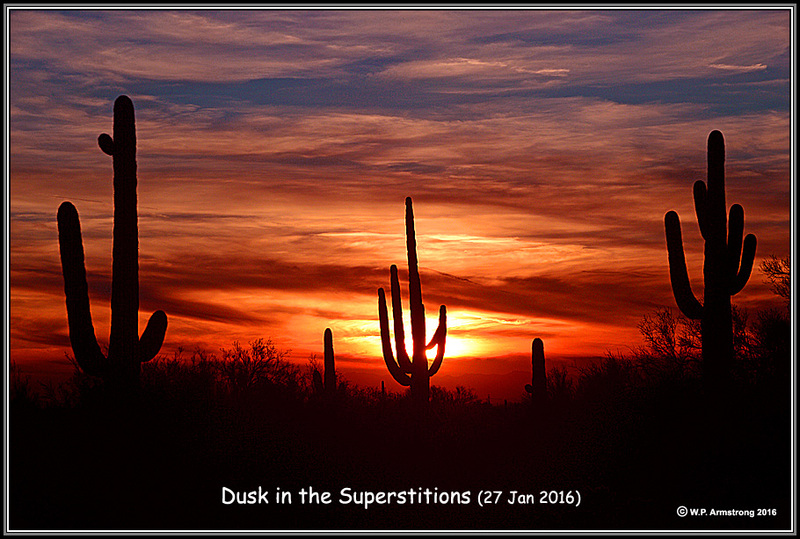 This is why I love the Superstitions! 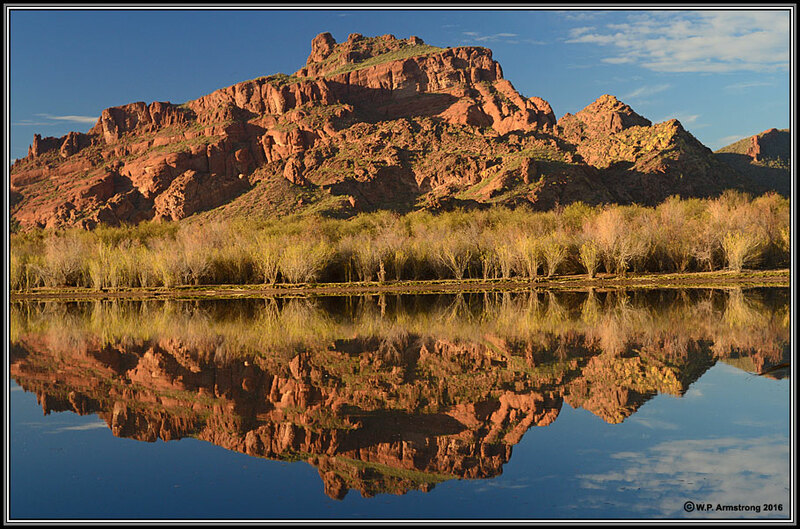 My favorite pastime: Ant hunting along the Lower Salt River, Arizona. 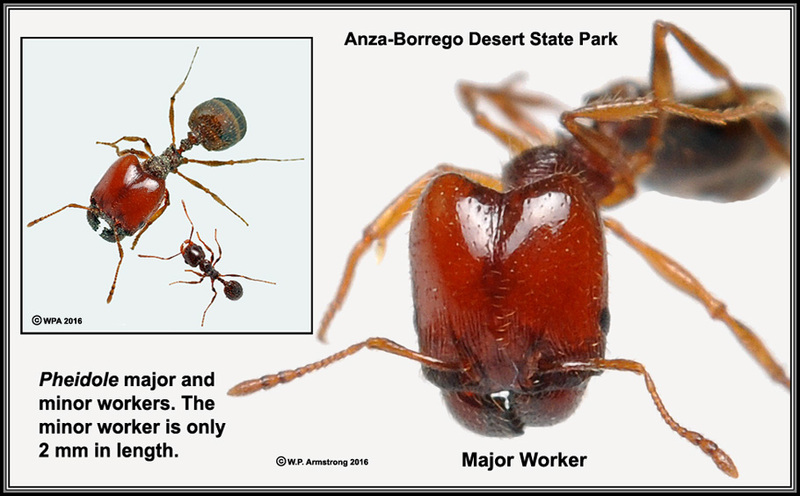 In our southwest desert, tiny Pheidole ants have major workers to defend their nest against army ant raids. 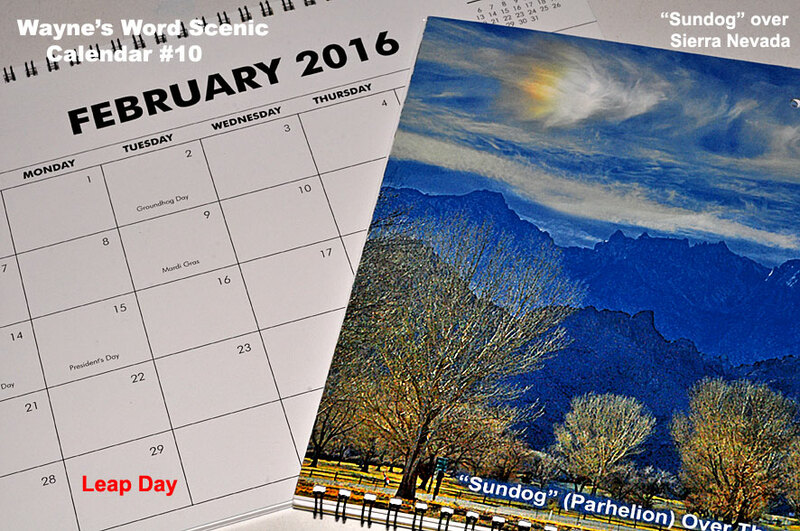 The major worker has an enormous head in proportion to its body. Some species actually block the nest entrance with their heads! I guess if you live underground you don't need eyes. 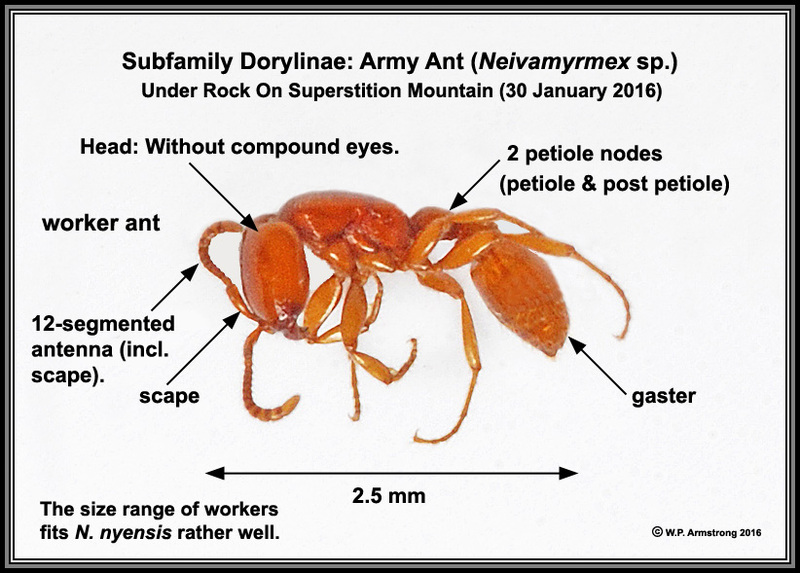 My little ant is now in Arkansas awaiting indentification by an army ant authority! My 1st encounter with a rattlesnake in 2016. 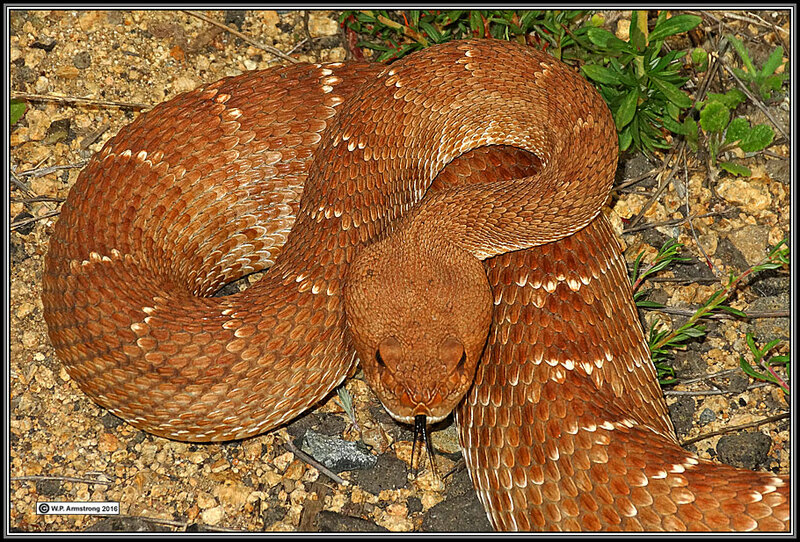 A large red diamondback while checking ant traps at Daley Ranch north of Escondido (4 March 2016). 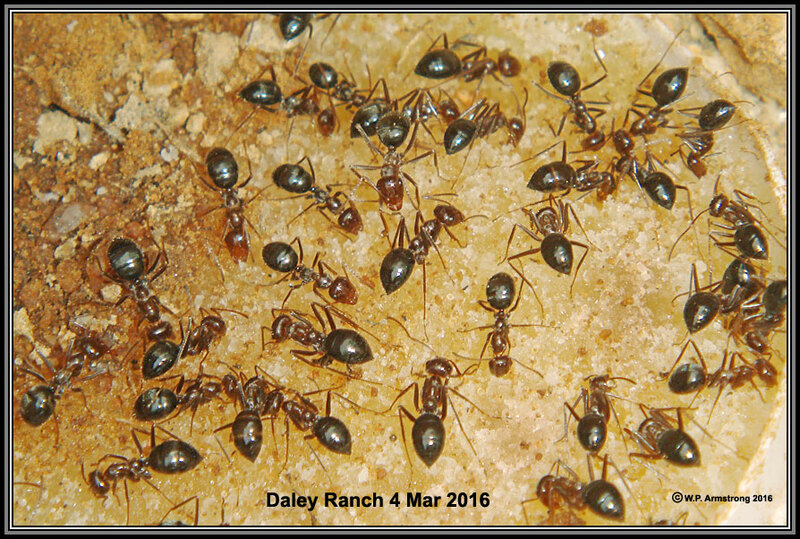 I found the stars of the BBC Film "Empire Of The Desert Ants" at Daley Ranch. 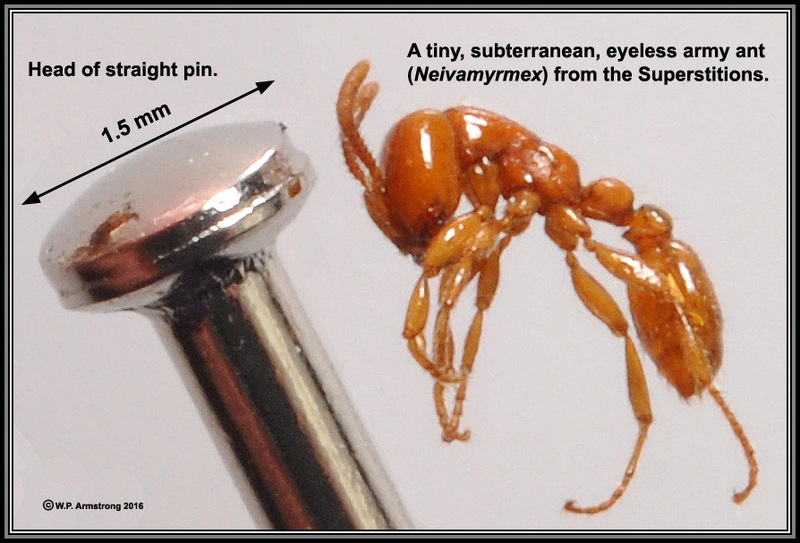 The 2011 video about these remarkable ants is truly amazing. 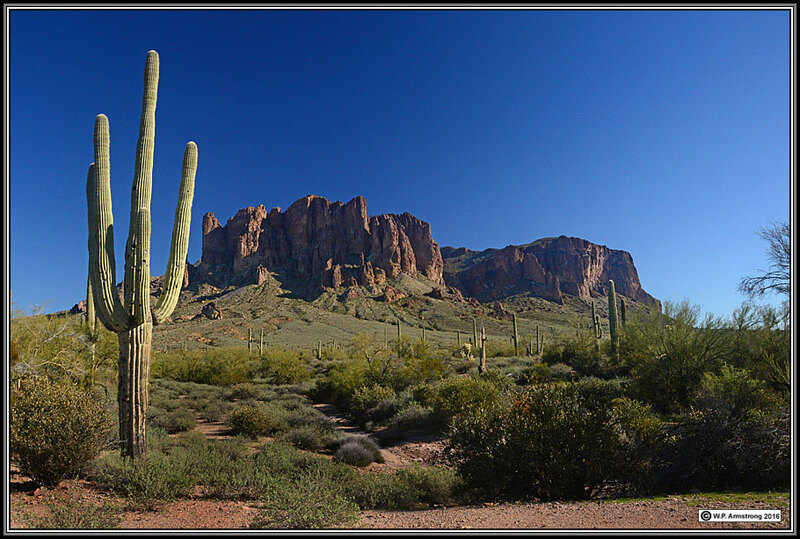 It was filmed in Horseshoe Canyon, southeastern Arizona. 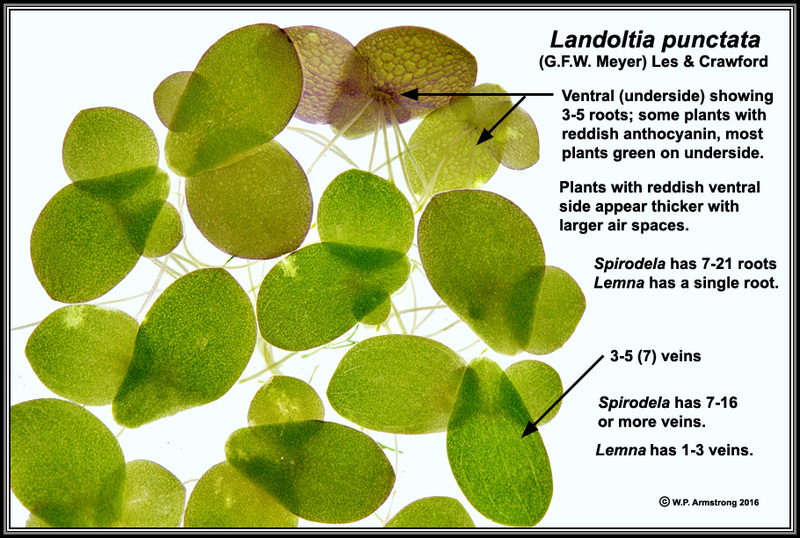 My latest project: Identifying a duckweed for the University of the Virgin Islands Aquaponic Systems. These requests are all the result of my website Wayne's Word. 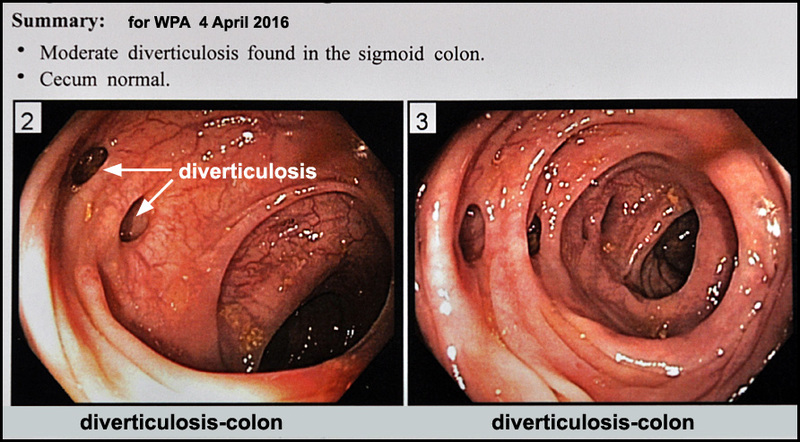 Today's colonoscopy results: I have something in common with about 50 percent of North Americans & Europeans over 60 years old! Note: I will no longer upload all of my image files under Facebook's current policy: By posting your pictures and videos, you grant Facebook "a non-exclusive, transferable, sub-licensable, royalty-free, worldwide license to to use any (IP) content that you post on or in connection with Facebook." In other words, Facebook can use your images any way they want for free and without your permission. They can give them away or sell them to other persons or websites! As a published author and photographer this policy is not acceptable.